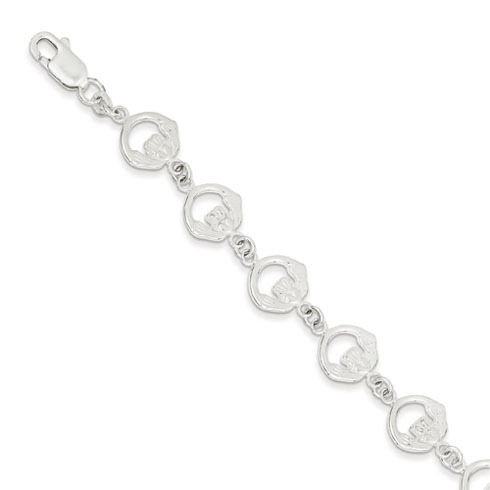 Sterling silver Claddagh charm bracelet has a fancy lobster clasp. Length: 7in. Width: 13mm. Weight: 9.39 grams. Import.